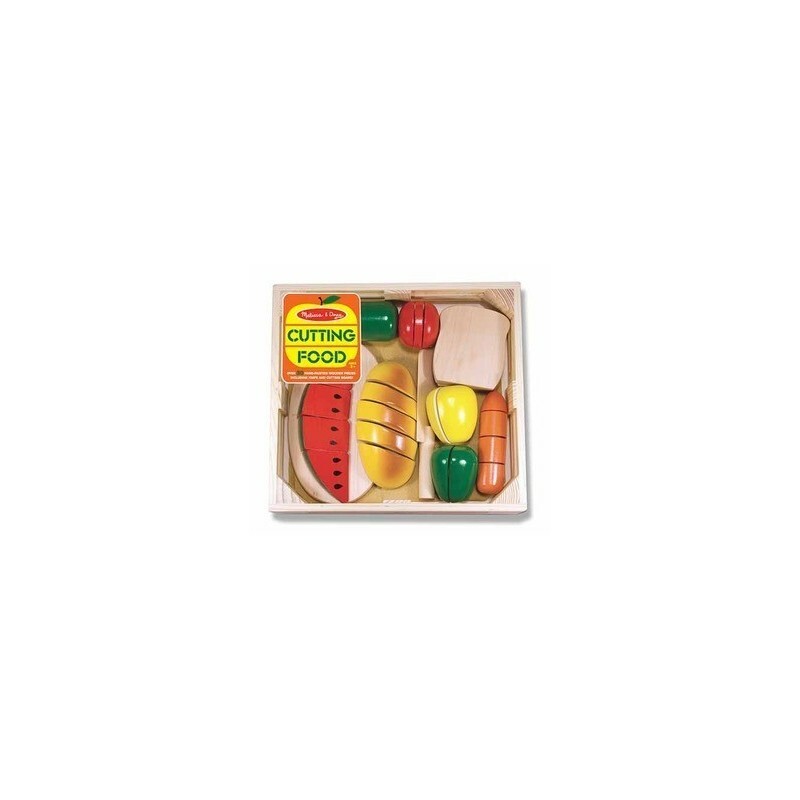 This Melissa & Doug set contains eight different wooden food, a cutting board and a wooden knife. 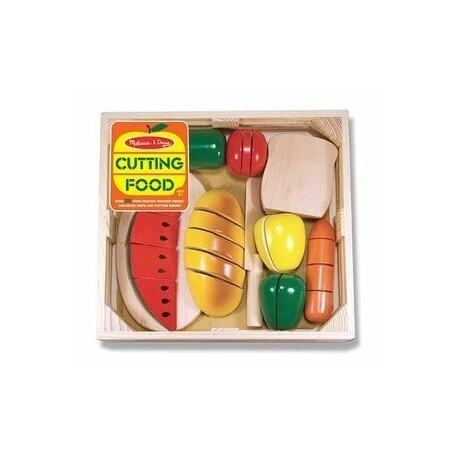 Fruits, veggies and bread all make a fun sound when sliced. With 31 pieces, it's also a great way to introduce the concepts of part, whole and fractions. It helps teach fine motor skills and hand-eye coordination. Made from hand-painted wood qith non-toxic paint.